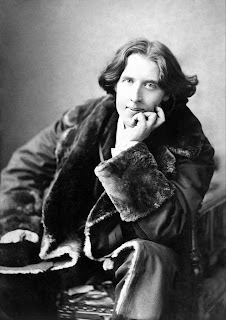 Recently, as he was lazing around, he picked up a collection of short stories by Oscar Wilde from his dusty bookshelf. There is a languorous quality to Wilde's writing - a certain heaviness, an ambivalent weightiness. His fairy tales aren't really fairy tales. No Walt Disney's 'happily ever after's. Happy Prince tells the story of a gold gilded statue who gave the ruby on his sword, the diamonds of his eyes and his shealth of gold leaves away to the needy. The prince's faithful companion - a swallow - carried the tidings. When winter came, the swallow froze to death, so reluctant it was to leave his friend. And the statue, dowdy from its generosity, was melted down. Only his lead heart refused to dissolve, snapping into two instead. The Star Child illustrates a beautiful child who turned ugly after he rejected his unsightly birth mother. The child went through tribulations and trials before realising his potential for kindness. He became a king and ruled with kindness, only to die several years later. With his death, the kingdom fell into anarchy. Life isn't simple. And Wilde knows this best. His stories begin in good faith but end with melancholy. A beautiful tragedy, aching in its universal appeal.